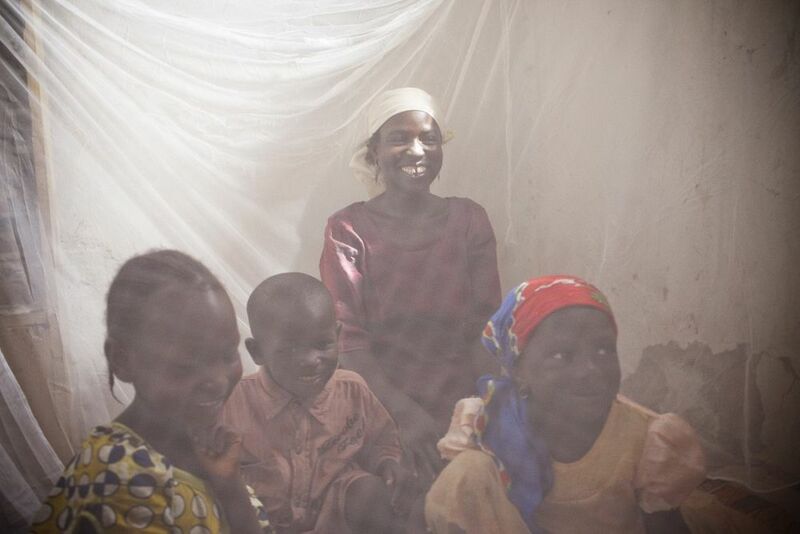 Mosquito nets have long been considered to be one of the most effective means of protecting people from nocturnal bites of malaria-carrying anopheles mosquitoes. Originally, locally manufactured nets that were not impregnated with insecticides were used in Nigeria. These were supplanted by insecticide treated nets (ITNs) which offered greater protection but required re-treatment every six months and had a limited lifespan. More recently, long lasting insecticide treated nets (LLINs) have given even greater protection, typically for up to three years. However, despite their efficacy, coverage in Nigeria was low. 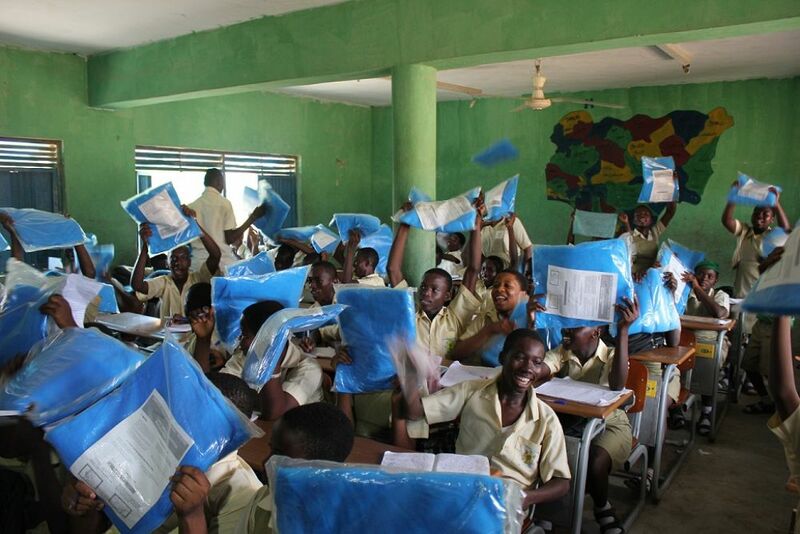 To address the poor net ownership status, the National Malaria Control Programme (NMCP), together with the Roll Back Malaria (RBM) partners in 2008, adopted a catch-up campaign strategy to distribute LLINs to households in the 36 states and Federal Capital Territory. SuNMaP supported LLIN mass distribution campaigns between 2009 and 2015 with more than seven million LLINs distributed in four states, both directly and indirectly. 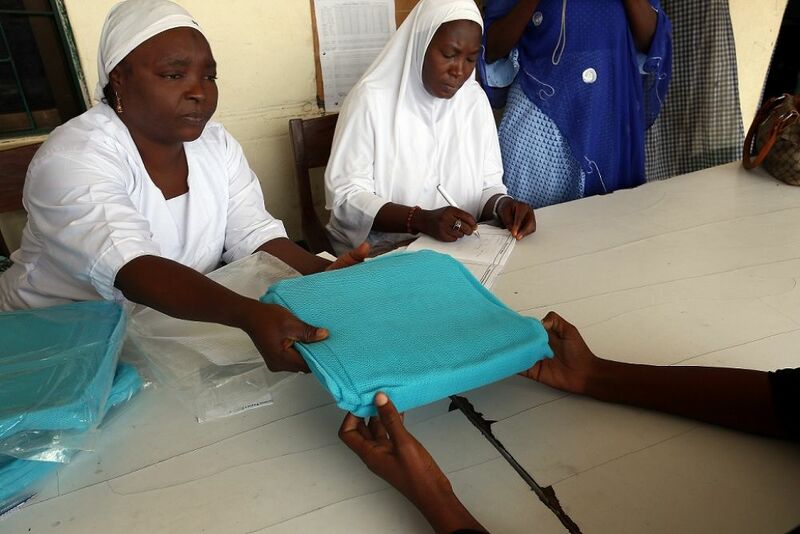 SuNMaP has also supported the ten states of operation in continuous distribution of LLINs through the channels of antenatal care clinics, Expanded Programme for Immunisation clinics, schools and communities. But while some families, such as those with children under five, might receive multiple nets through routine campaigns, others could receive none. As a result, it is important that these people have access to nets to ensure high coverage. Ideally, mass distribution campaigns, routine distribution and the commercial sector should work together harmoniously to ensure the highest possible coverage of nets across the country and ensure that vulnerable groups are covered first and that others are able to access LLINs through commercial channels. Beginning in 2008, SuNMaP began its support to the commercial ITN/LLIN market, including in procurement, distribution, brand advertising and consumer price support. In 2012, following a review, the programme changed its strategy to the ‘making markets work for the poor’ (M4P) approach. The interventions in the commercial sector were designed and implemented to complement the national ‘keep-up’ (continuous LLIN distribution through routine channels) campaign. This minimised the impact of natural gradual declines in the number of LLINs in households distributed through public health channels and free mass campaigns. To reduce the harmful effects of malaria in pregnancy, the programme also supported other areas of prevention, like the use of intermittent preventive therapy (IPTp) with sulphadoxine-pyrimethamine for pregnant women. SuNMaP facilitated a call to action for the scale up of LLINs to achieve universal coverage. This led to the development of national LLIN campaign guidelines. To reach continuous distribution through routine channels, SuNMaP developed the NetCALC version 2.0. SuNMaP first adopted a price-support strategy to support private sector importers and distributors of LLINs in Nigeria to expand and sustain their capacity to meet demand for additional and replacement nets not covered by free distribution campaigns. The strategy offered financial support, from paying a supplement to retailers for each LLIN sold and supporting distributors with funds for seed stock, storage and distribution, to assisting with the costs of branded promotion and offering credit lines for stock purchase. However, following a review in 2012, SuNMaP changed its policy from direct price support to market stimulation using an M4P approach. M4P replaces direct intervention with a flexible plan of activities which are adapted as conditions in the market evolve. This approach does not attempt to impose external solutions to improve retail markets, but works within the local context. It also sets out with future sustainability of the commercial system as a guiding principle to ensure that the market will eventually perform without further project support. 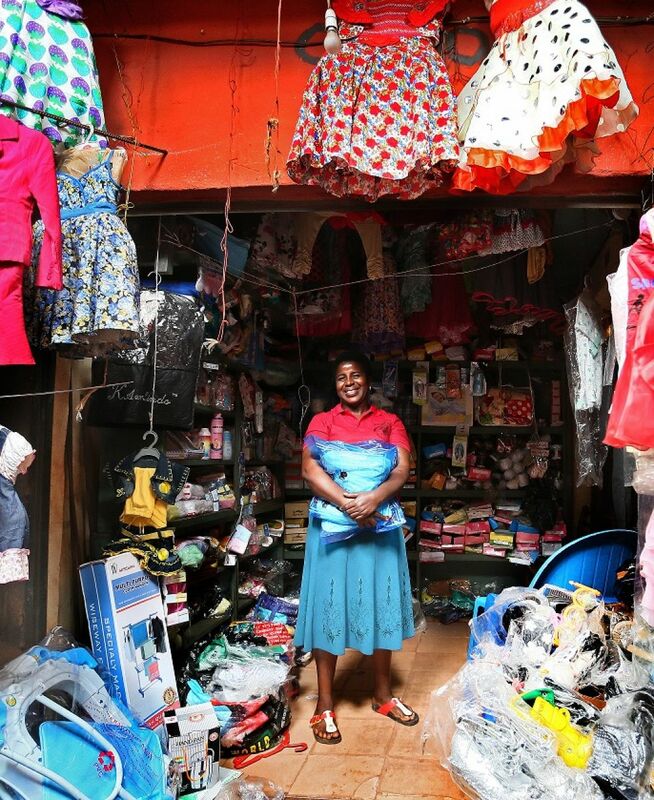 In addition to working with markets, SuNMaP also set out to improve distribution channels for nets as well as improving provision of IPTp – an important method of preventing malaria in pregnant women, who are especially vulnerable to the disease. SuNMaP helped fill the gaps in the supply of SPs in the states whenever stocks were low. In many states where it operated, SuNMaP was the sole or main provider of SPs. To complement this supply, the programme also trained health workers in the provision of SP during antenatal care clinic visits. In 2013, the programme commenced distributions of seasonal malaria chemoprevention (SMC) in states that do not have all-year malaria endemicity. Using SP and amodiaquine (AQ) as prevention drugs, SMC was targeted towards children under five who were more vulnerable to severe forms of malaria. With SuNMaP’s technical support, the mass campaigns distributed an estimated 100 million nets. Additionally, SuNMaP procured and distributed 7.4 million nets for the mass campaigns and 4.5 million nets during continuous distribution through routine channels. As of August 2015, the programme facilitated sales of approximately 2.1 million LLINs through commercial channels, 1.15 million of which were sold through retail channels and 1.05 million sold through institutional channels. The programme helped LLIN distributors to strengthen their retail networks and secure institutional buyers like private schools. As many as 650 retailers (pharmacies, patent and proprietary medicine vendors, supermarkets) in SuNMaP supported states were engaged and supported to improve their point of sales promotion and marketing of LLIN and to secure access to LLINs from the distributors. The programme also implemented a non-branded mass media campaign to address a lack of awareness on the benefits or value of using LLIN for malaria control. In addition, professional associations and civil society organisations in Nigeria were engaged to promote nets to their members. The programme supported six LLIN importers and distributors in Nigeria to build their capacity for market promotion and retail and institutional distribution. SuNMaP worked with Nigeria’s National Malaria Elimination Programme to encourage the public sector to open up the market – for example, by better targeting of vulnerable groups entitled to receive free nets and by sharing intelligence about forthcoming free net distribution campaigns so that local private suppliers can better plan stock flows to mitigate against the impact of government activities in their area. Support was also offered to selected distributors to increase and improve distribution channels, for example by including retail pharmacy groups in the network in order to reach urban middle class, semi-urban and rural poor populations in parts of Nigeria where free nets are not available. LLIN procurement and distribution are donor-driven and the intervention thus may suffer a set-back when donors withdraw or reduce their support. SuNMaP envisaged this and has carried out work to increase the role of the commercial sector. Meanwhile continuous distribution channels have not been sufficiently exploited. There is poor ANC attendance especially in the rural areas making net distribution inadequate. Yet events like the bi-annual Maternal and Child Health (MNCH) Week which is mainly supported by partners working in maternal and child health and nutrition programmes has been under-used. During these MNCH weeks, there is intense mobilisation of women and children to access maternal and child health services in selected health facilities during a specific week across the nation. The extent to which Roll back malaria partners leverage on this to avail antimalaria commodities like LLINs and SPs is however limited. The use of LLIN has also lagged behind the improvements seen in household ownership rate of one LLIN, but this lag is reduced when LLIN usage is compared with households with adequate access (defined as one net between two people). Challenging as it may be, the lesson here is that it is important to devise approaches that will ensure adequate access to LLIN during all forms of net distribution. The market system involves public, private and civil society actors. Isolated interventions in the commercial sector will not deliver results. SuNMaP adopted the M4P approach for commercial sector interventions. As the programme matured, it was evident that isolated engagement with the commercial sector without effective coordination and engagement with the public sector acts as a major impediment to sustaining market systems change. For instance, the millions of LLINs distributed freely to vulnerable populations have inevitably increased coverage. There is also awareness surrounding LLINs, and there has been an increase in brands on the market. However, consumers still perceive LLINs to be free commodities, and thus willingness to pay has remained low. Though commercial sales have picked up since 2011 (mainly due to effective campaigning and the availability of nets in local retail outlets and open markets), there is still a lack of supervisory controls and insufficient coordination and harmonisation among the RBM partners. A series of market analyses undertaken by the programme revealed that the lack of coordination and harmonisation resulted in a proliferation of leaked nets and fake brands, which are now widely seen in retail outlets and open markets. The programme’s experience provides strong evidence that a market systems intervention on malaria control should not be defined as a commercial sector intervention only. A common perception amongst donors and practitioners alike is that market system is synonymous to commercial sector. This perception needs to change for effective harmonisation and coordination of interventions on malaria control and elimination. Training and development of professionals is key; there is a shortage of professionals with expertise in adopting the market systems approach in health programmes: The market systems approach is a relatively new one, and primarily grew out of its application to agricultural markets. The agricultural market differs from the health market in that a more hands-on approach is called for in public health programmes. The engagement of the public sector is also much more significant than it is in agricultural markets. There is a lack of professionals not only in Nigeria, but also globally, who have the experience to manage the complexities of market systems. SuNMaP has made a major contribution by investing in the training and development of Nigerian professionals to design and manage market system interventions and to document and share results. As mentioned earlier, SuNMaP is often the main or sole supplier of SPs for IPTp in the states where it operates. The pervasive gaps in the supply of SPs reflects the relatively lower donor interest in these commodities and lack of preparedness or political will of governments to procure antimalaria commodities. There has to be a greater drive to make state government recognize the importance of IPTp and commit to it. This will be enhanced by providing evidence for IPTp’s relative contribution to health outcomes- which has to be carefully designed into a program from inception. Compared to other preventive measures, the knowledge and awareness about IPTp seem poor. There is generally less intensity around IPTp education provided by health workers. Women are often not told correctly what they have been given (some think IPT is for treatment of malaria rather than prevention according to anecdotes). Programmes therefore need better training of health workers to better educate pregnant women on the use and effectiveness of IPTp. The relationship between adequate access to ITN and likelihood of sleeping under them have been proven. The National Malaria Elimination Programme should spearhead the development of operational methodologies that will ensure that households receive one LLIN for two people up to a maximum of four nets per household during mass campaigns and continuous distribution. Roll Back Malaria partners and donors should better incorporate evidence generation into prevention programmes. Above any intervention, this should target IPTp in order to provide hard evidence that should then be used to advocate to state governments to increase funding to IPTp. Relatedly, donors should mainstream IPTp (SP supply and staff training) into maternal neonatal and child health programmes as a way of integrating malaria with MNCH programmes. Adopt the market systems approach as an overall programmatic approach rather than a component of the programme: This requires a holistic market systems analysis to document the roles and capacity of the public, private and civil society actors in malaria control and prevention. The analysis should then lead to a harmonised approach that involves a set of public, private and civil society interventions to sustain the long term gains from programme interventions. In order to achieve this, the experience and results of programmes like the SuNMaP should be reviewed and applied. It is recommended that government of Nigeria and donors invest in developing professionals to support adoption of the market systems approach for health programmes. This should include training and capacity building on market systems analysis, partnership with public and private sector actors, facilitation for market systems change, and harmonisation of public and private sector strategies for health interventions.